The marathon is cruel. Training for it will beat you up and it will wear you down. It holds out to you the hope of glory but with that hope comes the risk of heart break. 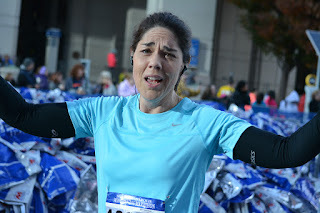 While I have been blessed and usually win the glory, I experienced this heartbreak first hand Saturday 11/7/2015 at the 2015 Indianapolis Monumental Marathon. I have gone back and forth about writing this and after a few people have inquired I decided to go ahead and put it out there in case anyone else was wondering. As you all are probably aware, I have been training for the Indianapolis Monumental Marathon for the last 18 weeks. I had a rough time starting out and mentally and physically committing fully to another marathon training cycle but got that put behind me after several weeks and I dove in. 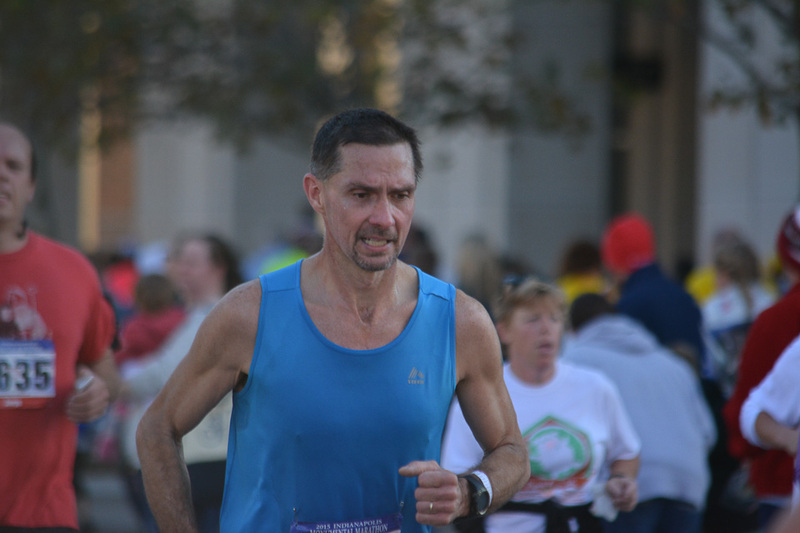 The goal was to run the 2015 Indianapolis Monumental in under 2 hours and 48 minutes. My previous PR was 2 hours 49 minutes and 46 seconds. This was the same goal I had and missed for the 2015 Carmel Marathon back in April. I believe the heat got me that day. So I felt this was a reasonable and attainable goal for a fall marathon. While training started a little rocky , I not only hit the big important workouts over the course of the last 6 weeks, I crushed them. The 7 mile tempo run that haunted me and kept me awake nights for weeks before hand went down in a blaze of glory and I felt invincible at the end. The 20 mile long run with 14 at goal pace went just as well if not better. After this run I started contemplating lowing my goal time. Although it sounded crazy I thought I might have a shot at 2:45. That's a big difference but my paces in those 2 big workouts indicated I had the strength and fitness to hit that time. With 3 weeks to go, I ran the Indianapolis Marathon as a long run at a good clip and felt as strong as an ox. As a final cap to the training cycle I crushed my half-marathon PR at the valpohalf the next weekend running 1:18:53 which was a PR of 2 minutes and 14 seconds. That's when things went bad. I felt beat up but generally fine after the half marathon but I had been dealing with some swelling on my right foot for a couple of weeks. I spent the next 2 days sitting all day at work. I have a stand up desk and rarely sit and I believe this sitting started something off with a pinched nerve. Tuesday morning after my run my right hamstring felt a little tight. This tightening increased throughout the day. By Friday I could not even run. I literally took about 5 running steps and called it off. I don't.... not run. That is maybe the 3rd time in my life I have started a run and didn't finish. I went Friday morning to see the Scott, the trainer, who helped me through the Boston Marathon training cycle a couple of years ago. He did various forms of soft tissue work on my hamstring and I left feeling better. I had a 13 mile run scheduled Sunday morning and decided to try and do it. I was able, with the help of ibuprofen, to run Sunday but it wasn't comfortable.I ran another 8 on Monday. Again, very uncomfortable. Tuesday, with a mere 4 days to go, I was abruptly stopped at about 3.5 miles with searing pain in my hamstring. I went again to see Scott. He worked on me some more and we decided to have me lay low until race day. With only a 3 mile run on Thursday, just to turn my legs over 1 more time before the race. Thursday I couldn't even make it a mile I got a hold of Scott and he got me into see the running doctor at St. Vincent Sports Performance. After an evaluation by the doctor, We determined that the only option available to help was a big dose of prednisone and that was a long shot. After weighing the risks and benefits and knowing what kind of shape I was in I decided to give it a try. So with hopes and delusions I marched on toward Saturday. 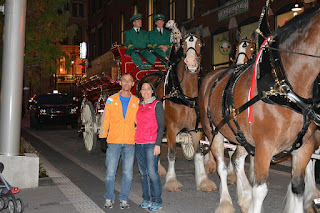 Friday night as we were leaving dinner in downtown Indianapolis, the Budweiser Clydesdales were making an appearance. With my camera around my neck I tried to jog to catch up to them. The pain in my hamstring was agonizing. I knew then and there that I would not be running. Time to set the delusions aside. This was a heartbreaking moment and the rest of Friday evening was hard to get through. On the bright side, I was able to cheer for my wife as she ran the 5k. I have never got to do that before because I'm always running as well while she is always there to cheer for me. It was nice to return the favor. I also had several friends running the full marathon and got to go out on the course and cheer for them as well. I'd never rather cheer at a marathon than run but it was nice to see my friends grinding it out. Mary had a good race. 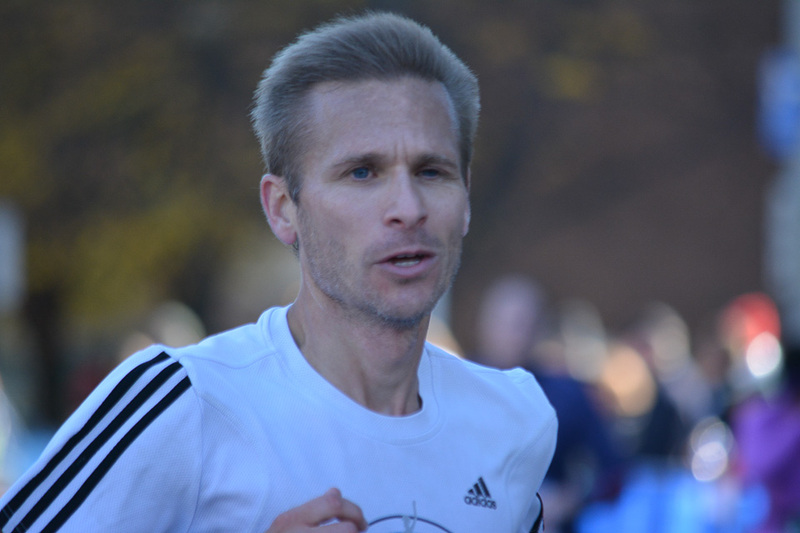 Garrett cruising to a second 2:52 marathon inside of 3 weeks. For now, I seem to be feeling much better and hope to return to running by next Monday. We'll see. Providing I am not on an extended recovery, I plan to build off of this training and race a full marathon in January in Florida. Glad that you are getting better!! I tracked you on Saturday, but no tracking information of yours got into my inbox, so I decided to go to the website and track manually, when I searched your name, did not appear in the tracking, I suspected that you did not start the marathon because of the injury. It was a difficult but wise decision, and I am sure that you will run great in Florida on January.